Just last night, we caught our first glimpse at the DROID Mini in White, making its way to Verizon right in time for the holiday season. This morning, @evleaks posted a press render of the DROID ULTRA in White, also en route to Verizon. Much like the Mini in White, nothing is different about this phone – same 720p display, 10MP camera, Snapdragon S4 Pro processor, 2GB of RAM, etc. 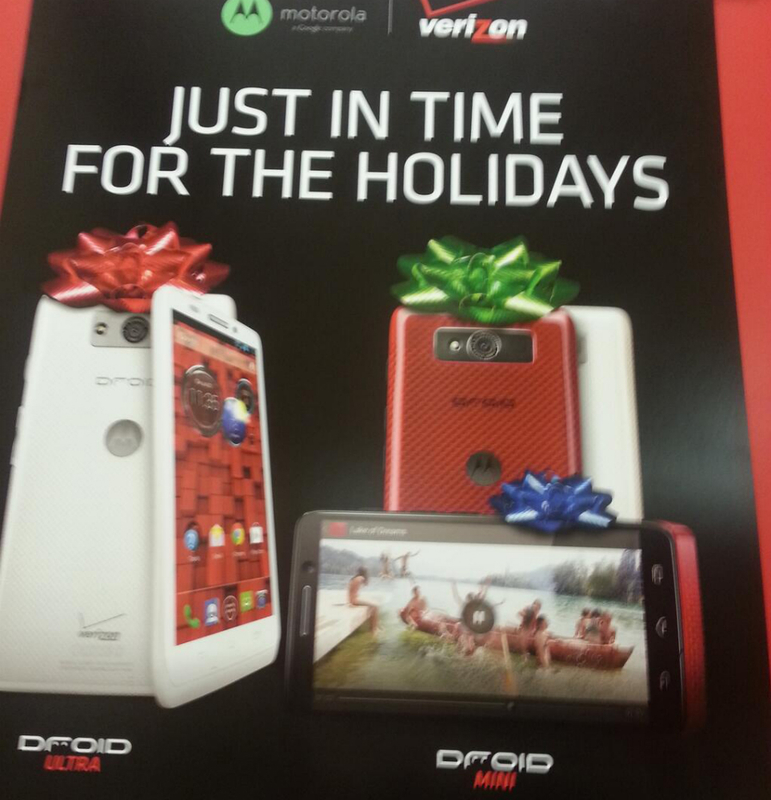 Interestingly enough, we were tweeted the below photo, confirming that these devices are right in time for the holidays. Pretty comical. How are you liking the DROIDs in White?